Portland, Oregon has gone bat-crap crazy. And that scares me to death because I have family there. The police department has decided to stop identifying gang members in their crime databases. They will officially purge their records in response to people being concerned about how they are treating and categorizing racial minorities. That’s just insane. Acting Tactical Operations Captain Andy Shearer said the Police Bureau recognized that gang designations have led to “unintended consequences.” He cited those who have shunned the gang lifestyle and how the labels keep them from getting a job. What about the current and potential victims of gang violence out there? Where’s your overriding concern for them? This moronic policy will start next month. 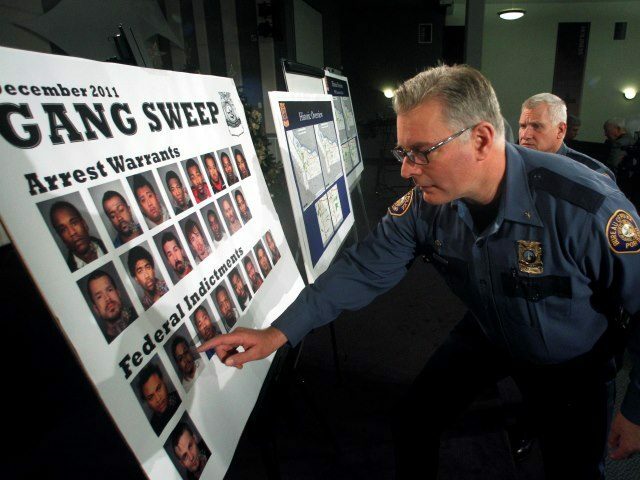 It will end a more than 20-year practice of documenting and designating gang members. Gang experts are decrying the decision and they are saying that it will severely impair investigators and prosecutors by making it more difficult to identify gang crimes. You got that right. It’s going to be party time for gangs in Portland. Gang crimes differ from other run-of-the-mill crimes. Regular crimes tend to be for personal gain. Gang-related crime is committed for dominance over turf and to show one gang is more powerful than another in a criminal organization. They use intimidation and violence to make their point and to profit. Not to mention running guns and drugs, prostitution, burglary and theft. MS-13 must be celebrating this move. The way that gangs are successfully investigated and tracked is to keep detailed records on current and former members, where they congregate, what crimes they are known for and how they commit them. You look at them as a whole, not just as individuals. They are a pack of rabid dogs, but there is method to their violent madness. This police force will no longer be proactive with gangs. They will simply react to individual crime and therefore will never get a handle on it or stop it. Most major cities use Criminal Syndicate/RICO laws to investigate gangs with long-term or complex investigations. But not Portland… not any longer. Most large cities make gang bangers a priority to arrest. They can get enhanced sentencing based of the detail of records connected to them individually and as part of the gang. As far as those who leave the life, if they survive and stay clean for a certain amount of time, there are procedures to remove the gang label from their record. This push is coming from the leaders of Black Male Achievement (BMA). They are a government-funded initiative aimed at promoting equal rights. No doubt they were a favorite of Barack Obama. Former Police Assistant Chief Kevin Modica is one of the leaders within the BMA movement who pushed for the end of gang designations. So, you’ve got a former police assistant chief in Portland who belongs to a militant black rights group. Awesome. This will put citizens and police officers in much greater danger in Portland. In 2016 alone, Portland had 155 gang-related assaults and shootings. And I’m sure they don’t view Antifa as a gang, but they are and a domestic terrorist outfit as well. One of the biggest complaints by those who have called for abolishing gang designations in Portland, was that police can label someone a “criminal gang affiliate” without a conviction, without an arrest. I see nothing wrong with that – I call it prudent law enforcement. In the gang culture, a prospective gang member does not need to show proof of a conviction or arrest to become a member. There are various ways to join a gang but one the most popular is the ritual of “Being Jumped In,” which means to receive a beating from the gang for a designated time to prove their loyalty. This new policy is disastrous and crime will skyrocket in Portland over it. Not only will police have no idea which gangs are active in their city, they will have no way to protect people from turf wars or rumored gang assaults. There will be no penalty for joining a gang now and it will be great for their membership. Not so much for the people of Portland or police officers.